He did it! 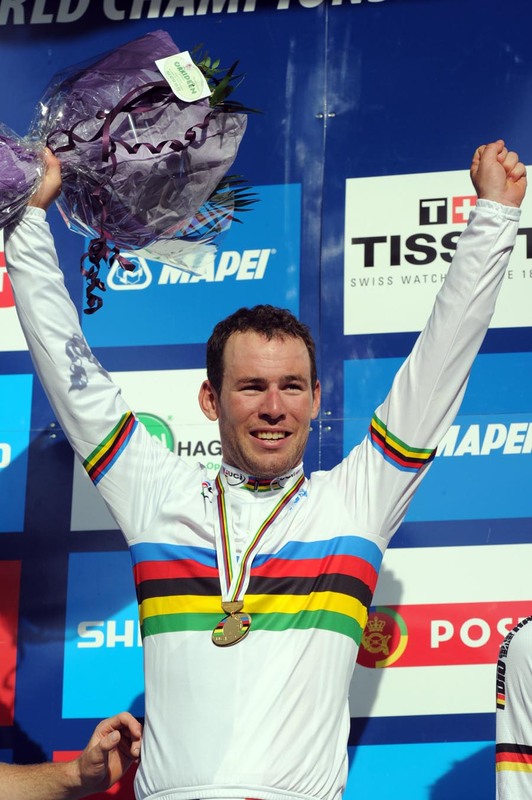 Mark Cavendish is the new World Champion after sprinting to victory in Copenhagen on Sunday. The Manxman beat Australian Matt Goss and Andre Greipel to the line at the end of the 266km race. His seven British team mates put in a brilliant performance to maintain control of the championship throughout. Cavendish then made all the right moves in the chaotic uphill gallop, finding a line down the right hand barriers to take Britain’s first senior men’s world road title since the 1960s. The 26 year old crossed the line with both hands in the air, his mouth wide open with delight. He was then congratulated by team mates, friends and rivals coming in behind him. For the next year he will have the honour of wearing the rainbow stripes in all road races. 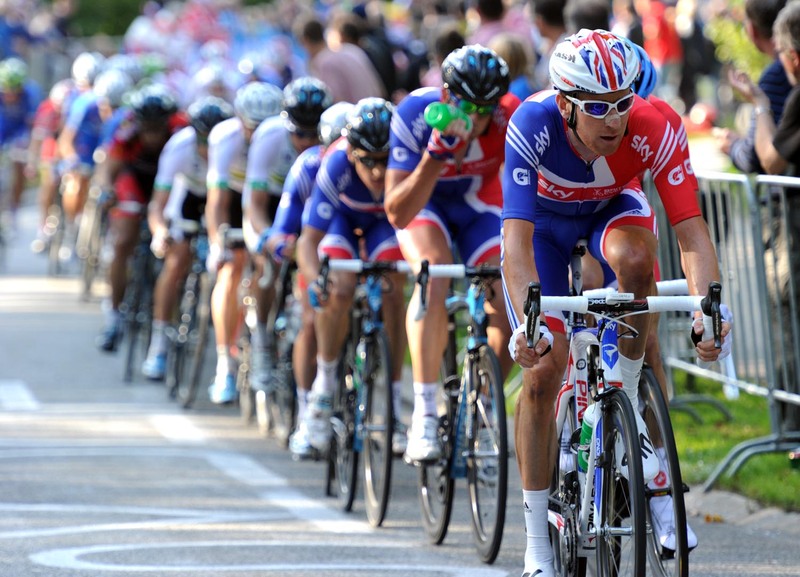 Not once during the race could the British team’s commitment to the Cavendish cause be doubted. 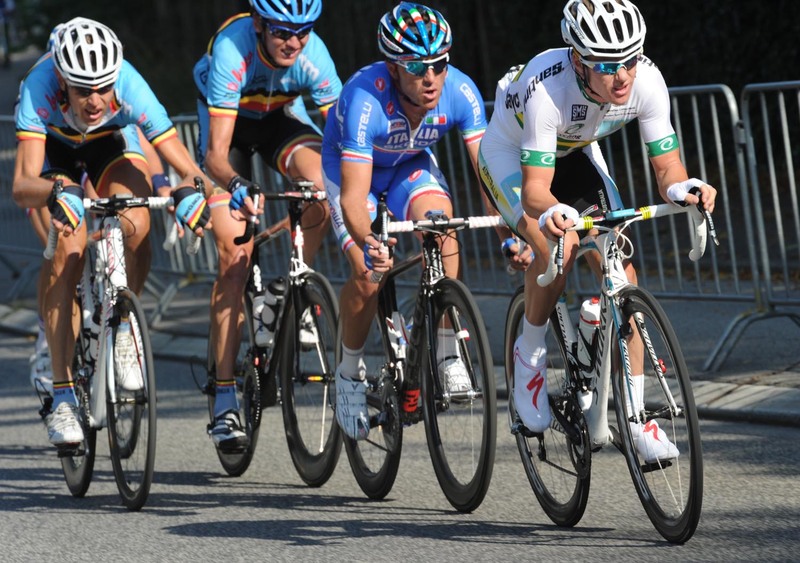 Almost from the moment a breakaway established itself on the opening lap of the main 14km circuit, the riders in red and blue took control of the situation. Chris Froome, Steve Cummings and Jeremy Hunt were particularly prominent early on. With help from Germany and the USA they never let the lead get out of control then steadily brought it back to set up the sprint. David Millar was in close attendance as the race entered the critical last two laps before Bradley Wiggins did a monster turn to keep the pace high in the final six kilometres. Australia then Germany took over the front for their fastmen on the narrow run in. Things momentarily looked bad for Cavendish when his lead out train of Ian Stannard and Geraint Thomas lost him as they burst up the right hand side in the final kilometre. Nonetheless Cavendish is experienced enough to fend for himself and probably did his chances a favour by hiding in the wheels. Biding his time, he made meticulous adjustments to his position before putting in his kick as the gradient eased shortly before the line. As is the case so often with his sprints, no one could match him.